Where Can I Shred My Papers for Free? Community shredding events are something that really do make neighborhoods safer. Once your trash hits the sidewalk, it’s public domain- and you run the risk of identity thieves getting your information and using it against you. Shredding your documents securely is one of the best ways to prevent Identity theft, and these types of events give you the opportunity to collect old documents and get rid of them for free without having to worry about using a drop off center or hiring a mobile shredding truck yourself. Security: Shredding events make a community safer. Identity thieves usually target a wide area, and neighborhoods, particularly in the suburbs, are a prime target. Disposing of sensitive documents in an entire neighborhood decreases the chances of identity theft affecting that entire area. Mobile Shred Trucks Make it Easy: Having a mobile shred truck come to your neighborhood has plenty of benefits. Since all the shredding is done right in front of you, it guarantees that your information is shredded without having to worry about transporting it to another location. 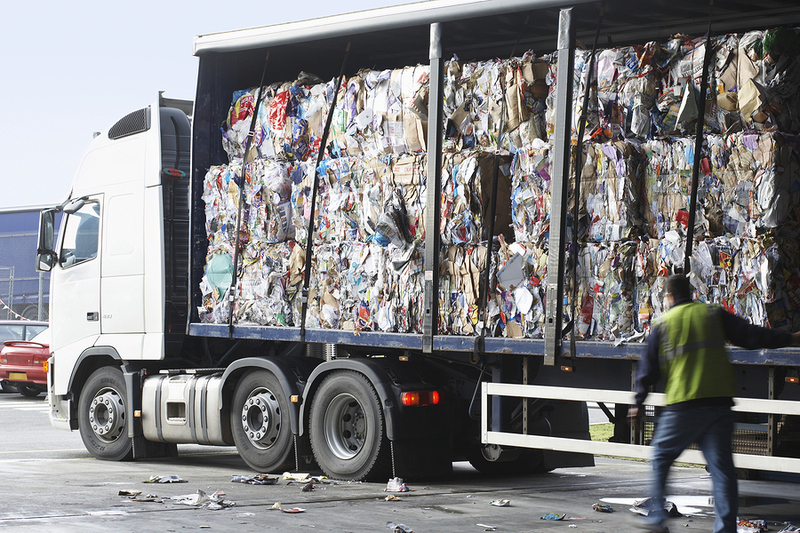 Shred trucks use cross cut shredding– something that’s much more secure than any home shredder could provide. Environmentally Friendly: Instead of tossing documents into the trash, all your documents are shredded and 100% recycled. All of your shredded documents are pulped and recycled into new paper. Convenience: Because they’re scheduled and advertised ahead of time, most frees shred events are quick and easy. To get your documents shredded, just drop off them off at the event and go on with your day. It’s a great way to start your spring or fall cleaning, and most communities hold an annual or monthly shred event. 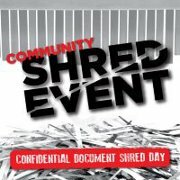 Support Local Charities: Most shredding events benefit local charities and nonprofits. Instead of paying a small fee or requesting to have your papers shredded free, you might be asked to make a small donation to a local organization. Interested in Sponsoring or Having a Shredding Event? Setting up a shredding event in your area is tremendously simple to do. It creates a great sense of community and the neighborhood can benefit greatly from one of these events. Who is sponsoring the shredding event and what is their end goal? There’s a big difference between an event sponsored by a business versus one put on by a local Little League baseball team for fundraising. Businesses have more means to be able to reach out to the public and create buzz around the event. The baseball team might have the desire, but there’s only so many boxes of paper their parents and immediate family have to shred- and they probably don’t have an advertising budget. What is the economics of the event? Are you going to have the event sponsored so it’s free; have the people participating pay a small fee to use the mobile shredding truck, or can you offer your services to a non-profit organization as a way to give back to the community? When are you going to hold the event? How will you market to them? Have you contacted the local newspapers or television stations to let them know about it? Do you have volunteers or is the shredding company going to provide the manpower for you? It’s also important to consider the time of year that you want to hold the event. It might be letter to hold it in the summer rather than the spring or the fall due to rain (or snow). One of the things you always need to consider is how to get people to the event. The more you plan, the better chance you have of a successful event. How long is the event scheduled for? Make sure that both you and the shredding company have a clear idea of the time-frame and limitations (if any) for the event. Some events last all day, while some communities prefer to have it done by mid-afternoon. Communicate clearly and make sure that you have all expectations worked out ahead of time. If you are looking to Plan a Community Shred Event, Shred Nations can Help! Shredding Events are a great chance to give a service that’s overlooked to your community. It gives you a chance to spread knowledge of how to prevent identity theft and really explain the importance of secure destruction. Shredding events are also a great opportunity for a local shredding company. It gives them a chance to create brand awareness by being in front of new potential customers in their community, and connect with businesses and residents that might have a need for secure shredding in the future. If you’re want to plan or host a shredding event, we’ll make it easy for you. Just fill out the form to the right, or give Shred Nations a call at (800) 747-3365.